At Merion Village Dental, our focus is on delivering gentle dental care in a modern environment. 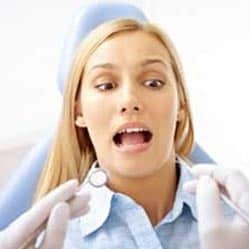 Due to previous bad experiences or anxiety about dental issues, many people neglect their dental health out of fear for going to the dentist office. At Merion Village Dental, we provide sedation options to make your appointment a pleasant and comfortable experience. Put those fears to rest, once and for all! Sedation dentistry can be executed during almost any type of procedure or appointment. It is our goal at Merion Village Dental to make you feel as calm and comfortable as possible. If at anytime you are feeling uneasy or nervous, we encourage you to say something to one of our trained professionals. We will do whatever we can to make your visit pain and worry-free. Don't put off your oral health because of dental anxiety. If you have been reluctant to stop by and see us because of dental fear, chat with a member of our team today to discuss our sedation options. We would love to hear from you and get your next appointment scheduled!